The Good Natured is a dark and left of center pop experience. Mixing subtle electronic elements and piano with Sarah’s vocals who remind me of a darker Lily Allen. 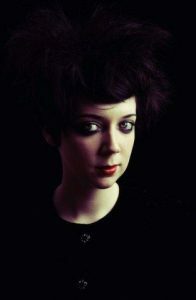 Having salvaged her grandmother’s 1980s Yamaha keyboard, Home Counties girl Sarah McIntosh – aka The Good Natured – self-produced her debut EP, ‘Warriors’ (2009). A year later, McIntosh sat her A-levels and split up with her boyfriend. With these changes she found a whole new inspiration to write, the fruits of which, ‘Your Body Is A Machine’, will be released on 5 July. ‘Your Body Is A Machine’ is a driving, dark and subtly dramatic left-field pop song: musically atmospheric — inspired by the likes of Japan and David Sylvian – and lyrically intense (“We are influenced by our self love and benevolence”). And then there is her voice: a strange, steely thing, simultaneously emotionally involving and quietly repressed, calling to mind the clipped tones of Ladytron and Neil Tennant in equal measure. Throughout, McIntosh displays a maturity beyond her teenage years. She may be called The Good Natured, but you wouldn’t want to cross her. ‘Your Body Is A Machine’ was written by McIntosh and produced by Dan Foat and Nathan Boddy (Delphic, I Blame Coco). The single feature remixes by Zebra & Snake, Body Language, Aspirins for My Children, Radioproof and Baby Monster. The Zebra & Snake remix is featured on the Kitsune Maison compilation released 26 April, having picked up radio support from Huw Stephens, Nick Grimshaw, Steve Lamacq and Kissy Sell Out.